Friday at the infamously original House of Yes, in glorious Bushwick Brooklyn, we welcome RUSTY LAZER and NICKY DA B from New Orleans! And from Barcelona, LOS CHICOS ALTOS for their NYC debut! New Orleans Bounce Music is the cultural creation of over 23 years of DJ's, rappers, dancers and audiences working together to hold onto a beloved beat, helping it grow and adapt to the desires of New Orleans' music lovers. From children's birthday parties to funerals and wakes, the city embraces Bounce culture across race, gender, and class boundaries. It's a sound that emanates from night clubs and block parties, festivals and parking lots, and its MC's and proponents are as unique as the city that birthed them. 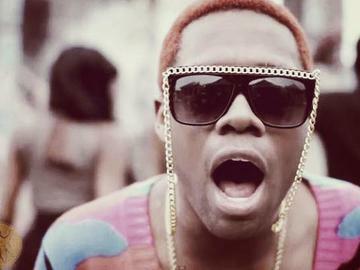 Nicky Da B is at the forefront of the next generation of New Orleans Bounce Rappers. He is currently earning huge accolades for his most recent work with Grammy nominated producer Diplo on "Express Yourself". His style is deliberately smoother than many of his Bounce contemporaries (though his lyrics are no less explicit) and his delivery is very unique...lying somewhere between the rapid fire vocalizations of Jamaican Dancehall and the call and response party-style chants of NoLa Bounce. His live performance is highlighted by several choreographed songs featuring his three amazing dancers and his DJ/Manager Rusty Lazer. Maxey Blaze from Munich, Germany was a Drum'n'Bass DJ for many years. In 2008, after moving to Barcelona, he became interested in the electronic side of World Music as both a DJ and producer. He started out with DJ Fred Spider, producing a collection of Soul, Funk & Latin remixes amongst others. T-Bird is from Los Angeles, California and was a DJ and producer there for over 20 years. Along with playing various genres as a DJ, he has also produced Deep House, Broken-Beat and other electronic styles on tracks used by MTV. He has DJed in various venues in LA, NYC, San Francisco, Las Vegas & Miami in the USA; London & Brighton in the UK; Zurich, Basel & Biel-Bienne in Switzerland; Barcelona, Maresme and Sitges in Spain where he now lives. The two met at an event put on by Fred Spider (a mutual friend) where T-Bird was a guest DJ. Maxey Blaze asked T-Bird if he wanted 'to make beats some time? '; so began their fruitful collaboration, Los Chicos Altos. BRING ID to verify your online ticket. No printing needed. One Good Reason has a passion for introducing new sounds to expanding circles of community.